Please enter only 2 decimal places. This service is mandatory. You have to order it at least 1 times. The stickers are cut at that mark. At the moment there is no price available. Please add you custom measures or close the editing mode. 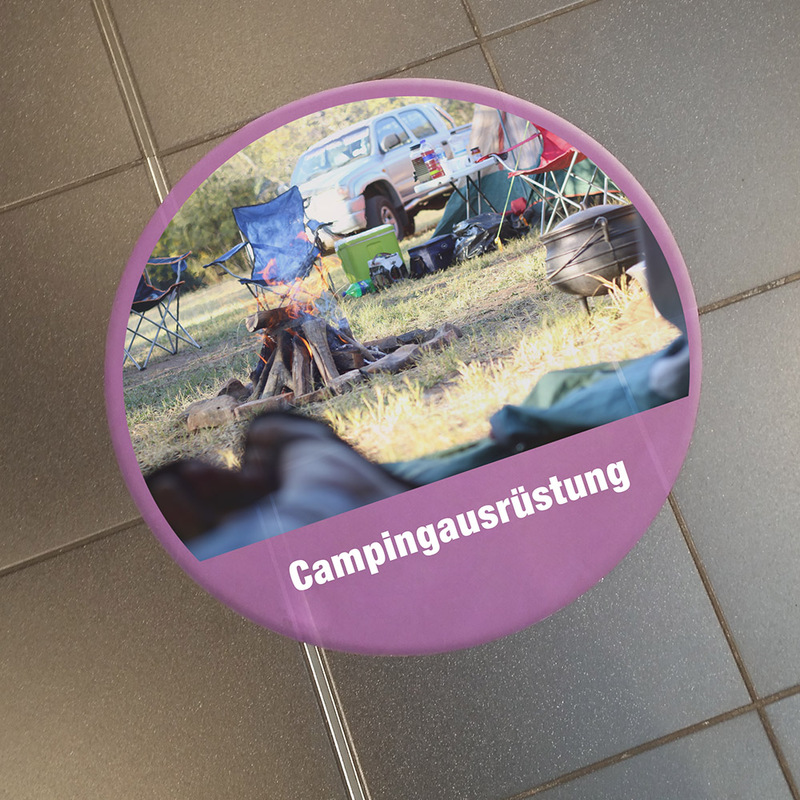 The self-adhesive special film for indoor floor advertising is a great eye-catcher in shopping malls, train stations, company buildings, selling areas and other indoor areas. 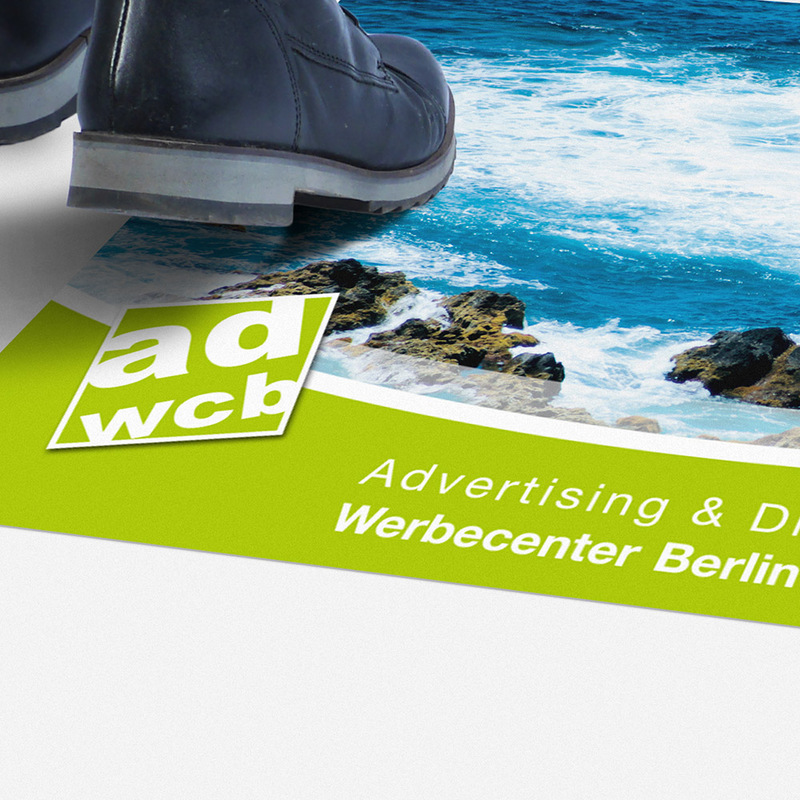 The sticker is coated with a matte protective laminate and is produced in CMYK digital print. The durability is approx. 3 months because of the high loading of visitors and pedestrians. We will cut to the ordered size. A contour cut is possible on request (additional charge). 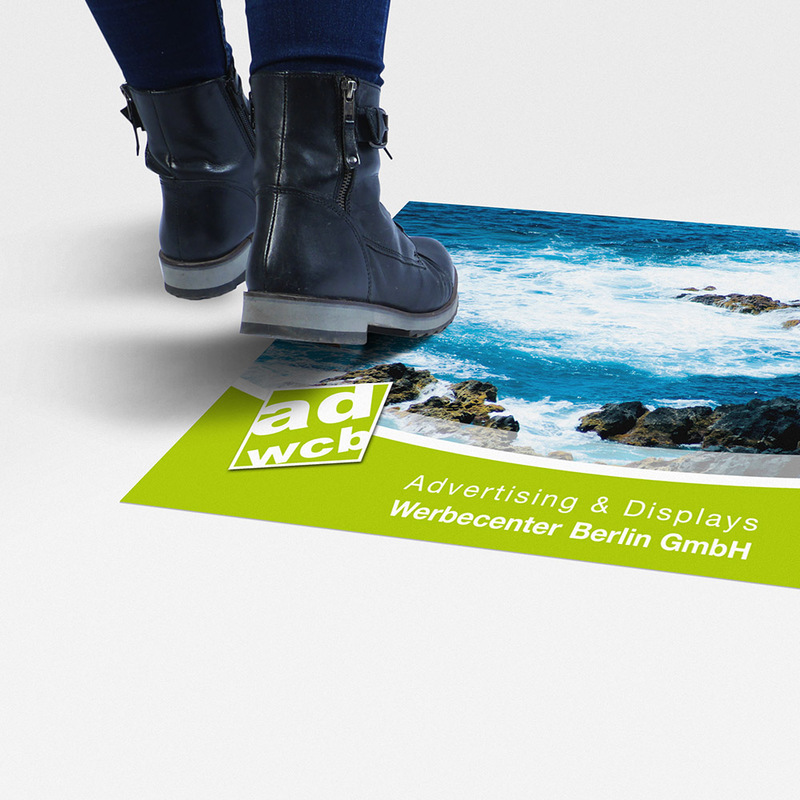 The maximum printing width for a rectangular motif and stickers with a cut contour is 1.4m. Up to these values the stickers are produced in one piece. All larger dimensions will be divided according to our data sheet. Calendered 90µm PVC foil with acrylic glue and matte protective 170µm laminate. To create your printing motif or for special use please see our artwork guideline. The minimum size per piece is 0.5m². Even if the selection is possible in the shop, please contact us in advance for smaller sizes. The adhesive foil should be applied by experts. The print surface can be cleaned detergent-free with a soft cloth and water. For large, divided motifs with 5mm overlap for a double cut. If you wish a division at a particular position, please create the data in seperate segments with 5mm overlap at the cutting position and additional 3mm bleed at all sides. If we do not have any other information, the sticker will be divided by us in optimal separation automatic. It will be delivered in individual parts with standardly 5mm overlap. 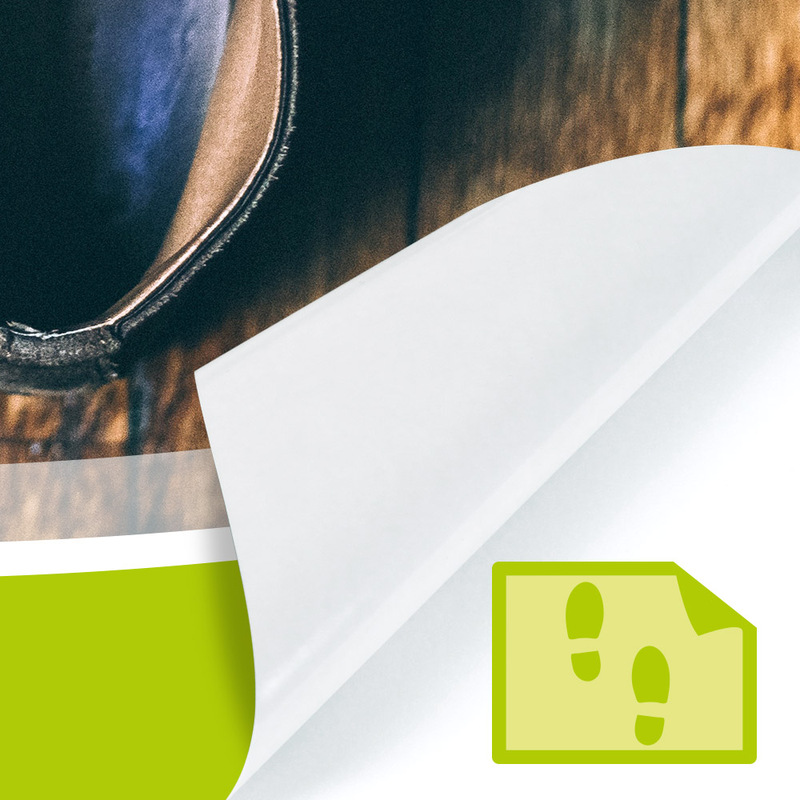 Files with contour cut that exceeds the maximum width must already be divided by you and created with bleed and overlap. If color accuracy is of high priority, we recommend a proof / preprint. The proof we will print on an 1:1 cutout in size DIN A3 on the original material. This allows you to counteract color variations and adjust them in your file if necessary.